I do a lot of work with patterns. Most often, my patterns are used to guide a router bit (top-mounted bearing) to finalize a profile. But the pattern shown here is used only for layout. When building any chest of drawers that has bracket or ogee bracket feet, I make a pattern for the foot. I use six individual feet for the show sides of most chests, with the two rear feet being a more plain design and usually made out of secondary woods. To make my fancy feet, I could simply use a paper pattern to layout the design, but my pattern would be in shambles as I worked on the sixth foot. Another option would be to print six copies of the design then glue each paper to a foot blank before going to the band saw to cut out the designs. I, however, make a pattern using scrap 1/4″ plywood which holds up to not only the six uses on this chest, but will be around the shop if I make a second or third chest, and will be standing at the ready for a completely different future chest if the design was right. Here’s the process in case you’re not yet a pattern maker. 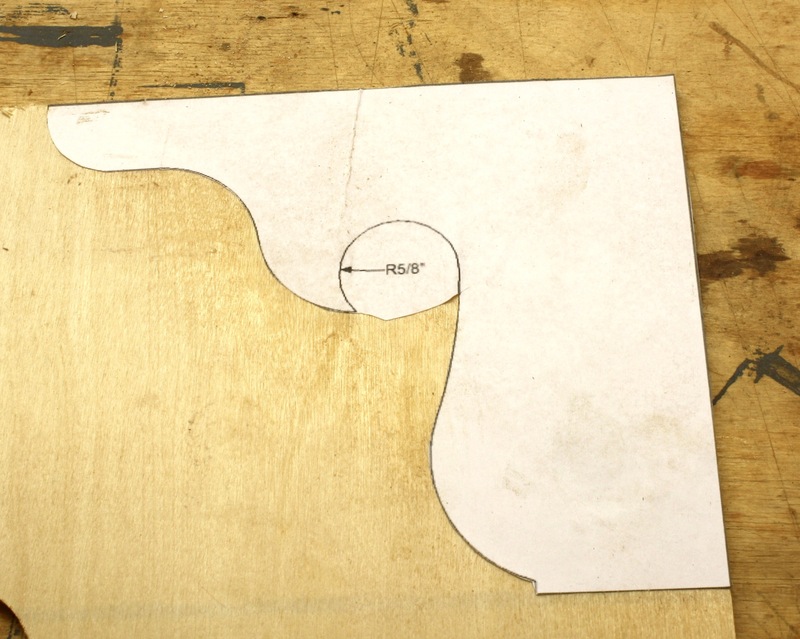 I pull a paper pattern out of my SketchUp drawing (you could, of course, lay out the foot using pencil, compass and straightedge), cut it out then stick it to the plywood with spray adhesive. Then it’s off to the band saw to trim to the lines. Be close, but don’t hit the lines. And more important, don’t cut away the circle at the center of the foot that helps form the spur. We need that area later in the process. After working at my band saw, my next step is at the spindle sander. After you have the correct spindle installed, work to your layout lines. Again, leave the lines intact. 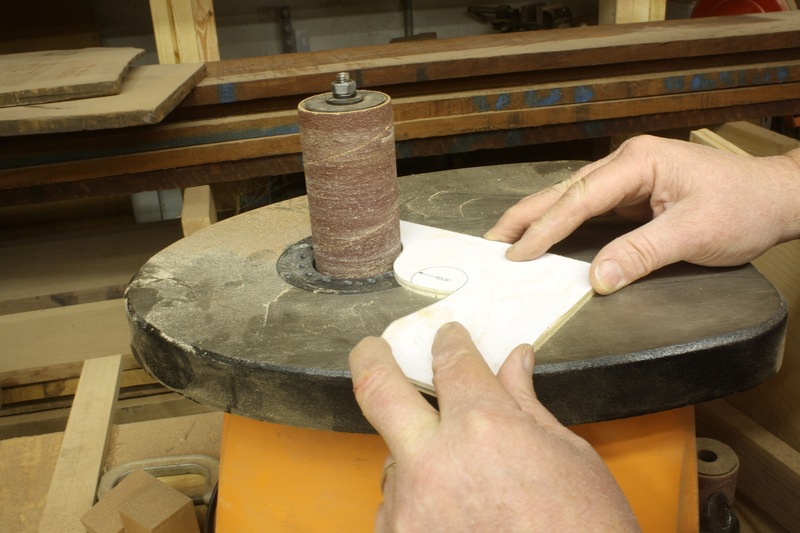 If you don’t have a spindle sander (see below), you can file and rasp your way to a great design. Why would you not have an inexpensive spindle sander in your shop? Even the cheap machines last forever – I still have a Ryobi spindle sander from 15 years ago that I take to classes and seminars if need be. 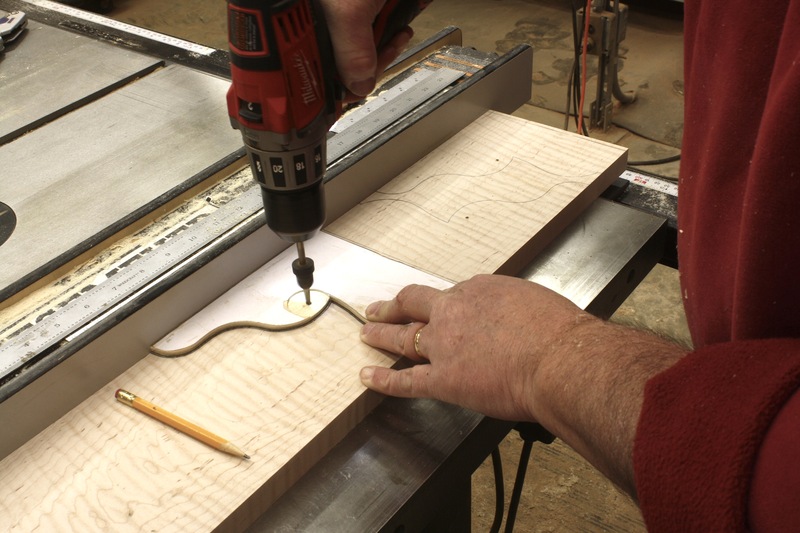 And there’s a lot that you can do with these simple machines, including thickness-sanding inlay and veneer. The last step to prepare the foot pattern for work is to find and create the center point of the waste area the forms the spur. On all my feet, this waste to drilled out using a Forstner bit at my drill press. To find the center point, position the pattern under your drill bit until the circle is perfectly centered, then plunge down to leave a mark. 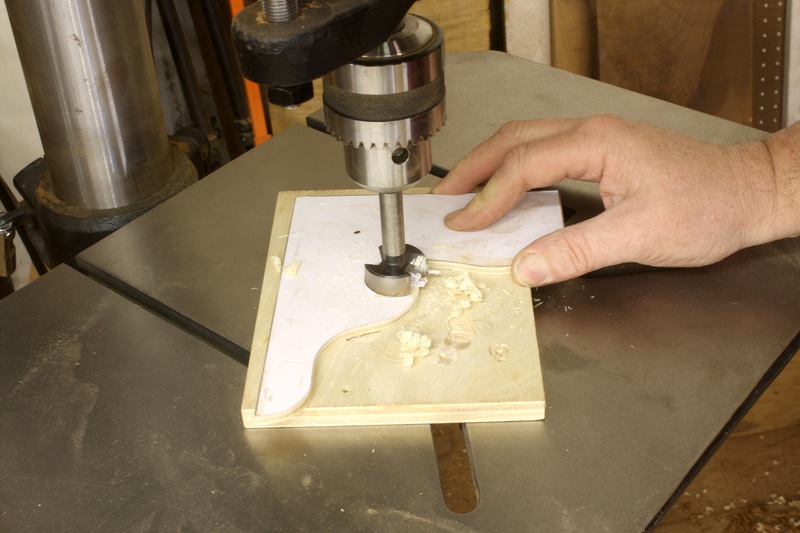 I then drill down about a 1/16″ to set the waste area and just puncture through the pattern. The last step before putting this shop-made template to work is to completely pierce the plywood with a small drill bit. The opening photo shows how the pattern is used. I’ll add a word of caution here. If you’re foot stock is a bit less than desirable on the rear face, make sure you flip the pattern as you work – lay out three feet facing left and three facing right. That way you can produce pairs that all show the correct face forward. And this is something you have to do if you’re using these patterns for ogee-bracket feet.